An image from a New Year's celebration on Sudroy. Those small lights going up the hill are candles. Looks spectacular. 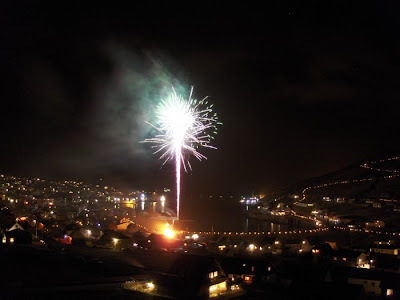 Across the Faroe Islands, when the clock strikes midnight on New Year's, municipalities and private citizens light off fireworks to light up the night sky. Here's a little of what it looked like last year. Gott nýggjár! On one of our first podcasts, we talked to Hogni, a Faroese musician who was trying to win an online contest for a chance to play at the South By Southwest music festival in Austin, Texas. As a matter of fact, before his appearance, we asked podcast listeners to vote online, and we here at the podcast like to think that we helped contribute to his stunning rise in the polls that eventually placed him on top. However, the story didn't have as happy an ending as we had hoped. He won the chance to play just a few weeks before the festival, and getting a visa to perform in the USA can be a pretty time consuming process. In short, it couldn't be done quickly enough and Hogni didn't get a chance to play in the US. But now organizers are announcing the lineup for the 2010 festival, and Hogni is on the schedule. We here at the podcast are big fans of Hogni, and appreciate the fact that he was our first high-profile guest on the podcast. So needless to say, we're thrilled that he's got another chance to perform in Austin... and hopefully enough time to get the paperwork done. Gudrid Hansdottir will also be performing at SXSW. She played an acoustic set for foreign journalists (including me) on a boat. It was great. We really do need to have her on the podcast. The South by Southwest music festival begins in March. Note: There may be some delay in updating the media player this week. We'll remove this note when the player has been updated. As for the Frændur song, you can see and hear it in the post directly below this one. In our next podcast, we'll talk to a two musical acts, including Frændur. 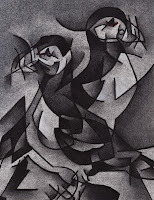 To get you in the mood, enjoy this home video taken at a recent performance at Hvonn. Be warned: this song is insanely catchy. Tollakkur Hansen, one half of the podcast-team, will go to the USA later this week. There he will do recordings from his trip, talk to people on the street, and take pictures, which will be posted here and on the Facebook fan-page. He hopes to get an insight to a different culture. Coming from one of the smallest countries in the world, it'll be interesting to see, how a big country like the US, will affect him. Entries from the trip, will start hitting the web at the end of next weekend, and he will keep steady updates from this journey of a lifetime. We're at it again, with news, and an interview, where we talk to an American, going to a family reunion on the Faroe Islands. At the end, we go on a boat, and visit some amazing bird-cliffs. 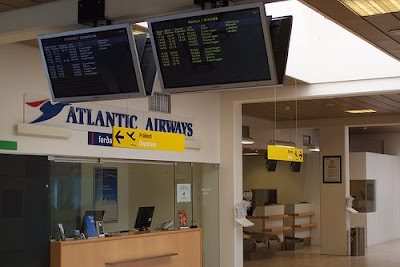 You can get us at all the right places. This week we discuss whaling on the Faroe Islands. We talk to an American researcher who is studying whaling cultures and to a Faroese doctor who says whale meat is no longer safe to eat. This week, we speak with Linda Andrews, the Faroese singer who won the big prize on the Danish version of "X Factor." We talk with Linda about her experiences on the show and how her life has been after winning. Also, we visit the village of Gasadalur (pictured above), one of the most pristine and beautiful villages in the Faroes. Help The Faroe Islands Podcast in winning an award! We are nominated in two categories at http://bloggerschoiceawards.com/ (Best Podcast, Best Travel Blog) - One needs to sign up, to be able to vote, but it's totally free, and takes almost no time at all. 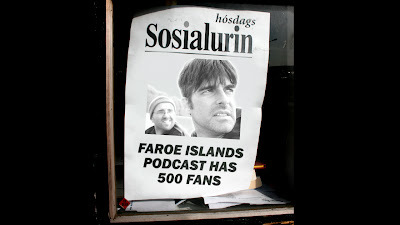 CAST YOUR VOTE FOR THE FAROE ISLANDS PODCAST HERE! Share this to everyone you know! This week we talk about the internet and how it has (or hasn't) changed life on the Faroes with Óli Á Deild Olsen. We also take a trip to Klaksvik and recap the big games from the Faroe Islands National Team. Faroe Islands vs. Lithuania - Online streaming link! Match starts at 17:15 (GMT). This shows the beauty and tranquility of the Faroe Islands. Faroe Islands vs. Lithuania - A preview of rememberance. If there ever was a day, that the Faroe Islands, should stand up against their opponents, it's tomorrow. We are on our homeground now, on a pitch, where we've had the most positive results at home. Kick-off is tomorrow at 17:15 (GMT), and tomorrow we will provide you with a streaming link to the match. Streaming starts, when the match itself starts. This week, it's part two of our visit to the G! Festival. We talk to Teitur, Boys in a Band, and Anna Katrin of Valravn (pictured above). The latest edition of the podcast should be up on our media player in a few hours. We've got 500 fans on Facebook now. Thanks to all who signed up. Keep telling your friends. For all who see BBC Two, be sure to tune in at 20:00 (GMT), and watch this edition of BBC Coast. "Coast heads high into the wild Atlantic to the majestic Faroe Islands, where Neil Oliver discovers how romance blossomed for British soldiers and Faroese women during the Second World War's 'Operation Valentine'..."
This week's podcast features an interview with Jens Thomsen, the founder of ORKA, an avant-pop group that performed at this year's G! Festival. The Faroes actually played pretty well. Believe it or not, France actually got lucky on this one. This week, we take in a few soccer matches and speak with National Team Coach Brian Kerr in advance of the team's game against France. The new podcast should be up on the media player later today. In anticipation of many special edition podcasts to come, we present a radio interview with me (Workman) that aired on Ras 2 in the Faroes. And while you're listening to that, we'll keep sifting through the hours and hours of audio we collected while in the Faroe Islands. It's all there, all the things you love. While last week, Sjúrður Skaale was mainly talking about politics, he'll be talking about comedy this time. A very good interview. And we end with another soundbyte... this time from the ferry to Suðuroy, Smyril. There will be one session in English, and organizers may stream that one live over the internet. If they do, we'll post a link to the broadcast here. 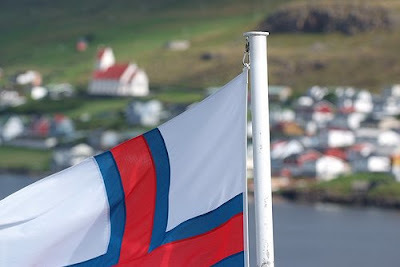 To all those celebrating on the Faroes today, we offer you our fond wishes. We'll have some pictures taken during the holiday party soon. This week we travel to Portland for the monthly meeting of the Scandinavian Heritage Foundation and speak to Rakul Ketels about growing up on the Faroe Islands. Rakul Ketels & Torgerd Vaillancourt wearing Faroese national costume at Portland State University. Portland's Faroese community... all four of them. Your fearless podcast host, along with Allen Boggs, who was probably the first person ever to listen to an episode of this podcast. In this episode, we speak with journalist Stephen Metcalf about a piece he wrote about the Faroes for the New York Times. We also recap last weekend's X Factor final and take a walk in the rain in Tollak's home village. Faroese singer Linda Andrews has advanced to the finals on the Danish version of "X Factor." During her second song on Friday's broadcast, she was backed by a gospel choir she helped form. In this podcast, we hear the end of Jenny's interview, get an update on Linda Andrew's progress on X Factor, and get a preview of our special Tyr podcast. Images from Tyr's show at Satyricon in Portland on March 14th. 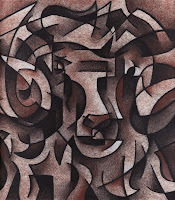 A larger gallery of images from the show can be found at our Facebook page. Just follow the link in the sidebar. The voting is over and Hogni has had an amazing run. On Monday night, he had crept from 4th to 3rd. Then he took the top spot overnight and finished at #1. That means Hogni is going to Austin. What that also means is that some of you here actually voted and helped send Hogni to South by Southwest. Sure, he's got a loyal fan base and others who surely spent a lot of time voting and worked very hard to make this happen. But I've decided we here in this space can take all the credit for this victory. You're welcome, Hogni. Seriously though, congratulations, Hogni. And thanks to those of you out there who voted. 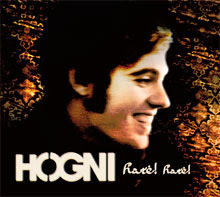 On Saturday we posted a short item about Faroese musician Hogni, and his bid to play a showcase at Austin's South by Southwest music festival. The artists who play one specific show will be determined by internet voting. Since that first post, Hogni has gone from 7th to 4th in the rankings. If he finishes in the top 3, he's going to Austin. As it stands now, Hogni is at #3 now, but that can change, so, there's no rest. Keep on clicking, and tonight we'll know the result. and vote for Hogni. It's legal to stuff the ballot box, so vote as much as you like. We'll let you know what comes of it. Two new ways to listen to the podcast. We're up on iTunes, follow the link to your left to subscribe. Or you can listen on the audio player above. Who loves you? We do! At last, we're here. As of this moment, the Faroe Islands Podcast is a going concern. The first, rather modest edition went online tonight. In this first podcast, we catch up on some Faroe Islands news, take a brief history lesson, and listen to a field recording taken in Torshavn. I also prove that Faroese words are difficult to pronounce. We should be on iTunes in the next few days. Týr's MySpace page and tour schedule can be found here. 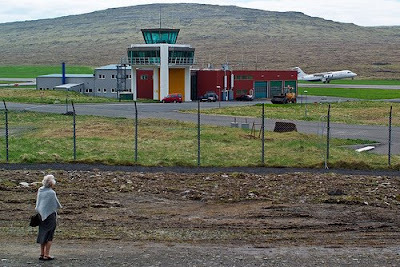 Indian news item on the Faroe Island's financial stability. Please feel free to post comments or suggestions about the podcast. Now we'll get back to work making another one. 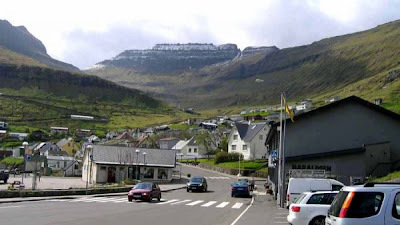 This blog will contain information about an upcoming podcast on the Faroe Islands. Subscribe to our RSS feed to be notified when we go live.